The origins of two-way radio date back to the discovery of wireless waves by the German physicist Heinrich Hertz in 1886. He was the first person to broadcast and receive radio waves, although somewhat ironically he could see no practical use for his discovery. Of course his discovery proved be of huge significance, paving the way for the wireless telegraph, radio and television. Electrical and radio frequencies are measured in units of ‘Hertz’ in his honour. Early applications included two-way telegraphy across the Atlantic Ocean using Morse code. Another major breakthrough was made by the Swedish engineer Ernst Alexanderson, who created the first high frequency generator that made the transmission of speech possible. The Alexanderson Alternator was developed at the behest of Reginald Fessenden, who made the first long range voice transmission over 2kw using the 100khz frequency. Among the first commercial uses for this development was for marine communications. By 1912, the use of two-way radio communications technology on ships was becoming common. Just who invented the first mobile in-vehicle two-way radio is a matter of some controversy. The main contenders include an Australian Senior Constable called Frederick William Downie, who introduced radio sets into police Lancia patrol cars in 1923. The radios were so large they took up the whole of the back seat! In 1933, the Bayonne, New Jersey police department in the USA pioneered the use of communications between a central fixed station and the radio transceivers installed in police cars. This enabled a dispatcher in a fixed central command and control room to direct police cars dispersed around the county to the site of emergencies in a much faster and more coordinated way. Other contenders for the invention of hand-held radios include the Canadian Donald Hings, who created a portable radio signalling system for his employer CM&S in 1937, which he called a “packset” – later known as the “Walkie-Talkie”. Another Canadian, Alfred J. Gross, patented his own version of the Walkie-Talkie in 1938, one of many patents he was to take out over his lifetime in the field of wireless technology. His model C-58 “Handy-Talkie” was used by the military by 1942. Yet another contender was the US firm Galvin Manufacturing Company (later to become Motorola), whose SCR-300 backpack mounted model was first used by American troops in 1943 during World War II. The company also developed the first handheld walkie-talkie in 1941, the AM SCR-536 transceiver, referred to as the “Handie-Talkie”. Early two-way radios only allowed one device to transmit at a time while the other devices listened. This was because all the transmissions were made on the same radio frequency – referred to as “simplex” mode. Later half-duplex and full duplex calling was enabled by using receivers and transmitters tuned to different frequencies. Analogue conventional and trunked radio systems continued to develop after World War II largely using VHF and UHF spectrum. Conventional systems operate on fixed radio frequency channels with talk groups or geographic areas assigned particular channels. If the channel is busy, the user trying to make a transmission has to wait in a queue until the channel becomes free. Users can manually switch channels using the radio if required. Trunked, or MPT1327, analogue systems were developed to support much larger numbers of radio subscribers often over wider geographic areas. Trunked systems assign radio channels automatically, so if a channel is busy the transmission will be switched to the next available free channel. The 1990s saw the development of the first digital two-way radios. A number of different standards emerged including P25 (Project 25), TETRA, Tetralpol, TEDs, P25 Phase II, NXDN Nexedge, Digital Mobile Radio (DMR), digital Private Mobile Radio (dPMR) and the PDT (Police Digital Trunking) standard developed in China. License-free PMR446 radios are also widely used. In 2010, the company rebranded as Hytera and launched the first of its successful DMR series of products and the TETRA PT580H. In the same year, the TC-890GM multi-mode PGIS portable radio was adopted as an authorised terminal by the Ministry of Public Security of China. In 2012, Hytera acquired the TETRA portfolio of the German company Rohde & Schwarz PMR GmbH, which was renamed Hytera Mobilfunk GmbH. Hytera celebrated its 20th anniversary in 2013. During this anniversary year it launched a new series of Digital Migration Radios in the shape of the DMR PD6 and MD6 series for the commercial market. In China, the Ministry of Public Security released the first PDT professional wireless communications digital trunking standard. 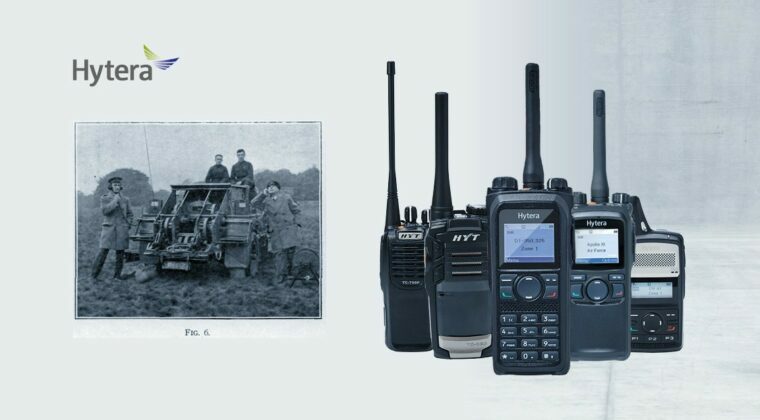 Hytera was and remains a major contributor to the development of the PDT standard. In May 2017, Hytera acquired the Sepura Group, a UK two-way radio and services provider, whose portfolio includes TETRA, DMR, P25, and LTE system solutions. The Sepura Group includes Spanish PMR provider Teltronic, US PowerTrunk, Fydle Micro, 3T Communications and Finnish applications developer Portalify. The same year saw the launch of Hytera’s PMR-LTE Convergence solution, the broadband iMesh solution, the Hytera Multi-mode Advanced Radio capable of supporting both TETRA or DMR and LTE, and the first Hytera Push-to-Talk over Cellular (PoC) handset. Hytera continues to innovate and in 2018 it launched its transportable Intelligent LTE for the Mining Industry solution and unveiled a full PoC platform and management system. Look out for more innovative solutions from Hytera in the coming year. For more information on any of Hytera’s communication solutions contact us.